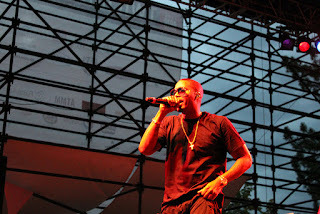 Currently touring in support of the recently released Life is Good, Nas stopped in Salt Lake City to play the third installment of the 2012 Twilight Concert Series. English rapper Tinie Tempah kicked off the night, getting the crowd hyped, as if solely the anticipation of Nas wasn't enough. 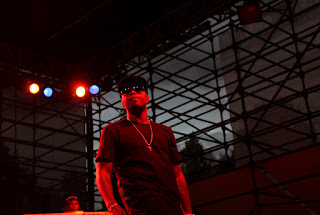 Compared to previous Twilight installments, Pioneer Park was feeling more populated from the get go, as audience members close to the front were crowd surfing before he even took stage. I asked a few of the concert goers trapped against the railing upfront how they were doing, they assured me "they were fine." 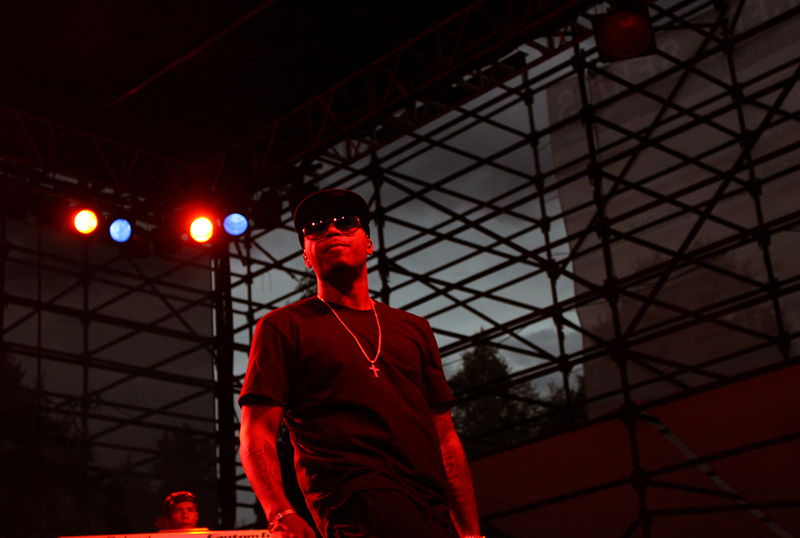 Nas had two members on stage with him, one a DJ and the other on Keyboards. 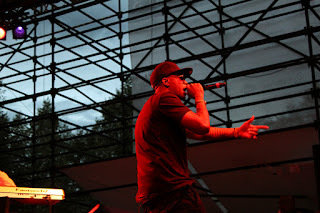 Nas, wearing a NYC baseball cap wasn't afraid to let the crowd know of his east coast roots. Before taking stage the two members of his ensemble started by playing a track by Notorious B.I.G. shouting something along the lines of "Do you love B.I.G./number 1/throw your hands in the air." Shortly following they went on to sample a Tupac track saying something like, " if you love Pac/number 2/put your hands in the air," with Nas taking stage shortly after. 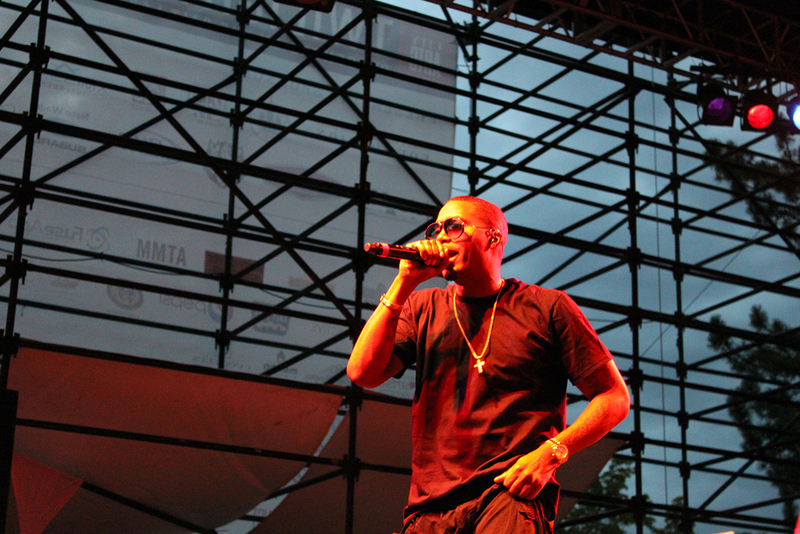 Nas killed it from the second he took stage with more than 20,000 or so in attendance going absolutely wild. He made it clear that he loves "real hip hop" often saying "Salt Lake City loves real hip hop!" With such an extensive career he played a good mix of hits such as, "If I Ruled the World (Imagine That)" from 1996's It Was Written. He also played "Hate Me Now" from 1999's I Am... along with tracks from his new album Life is Good. All in all the show was great from the atmosphere to the sound. Let's be honest, of course it was good. 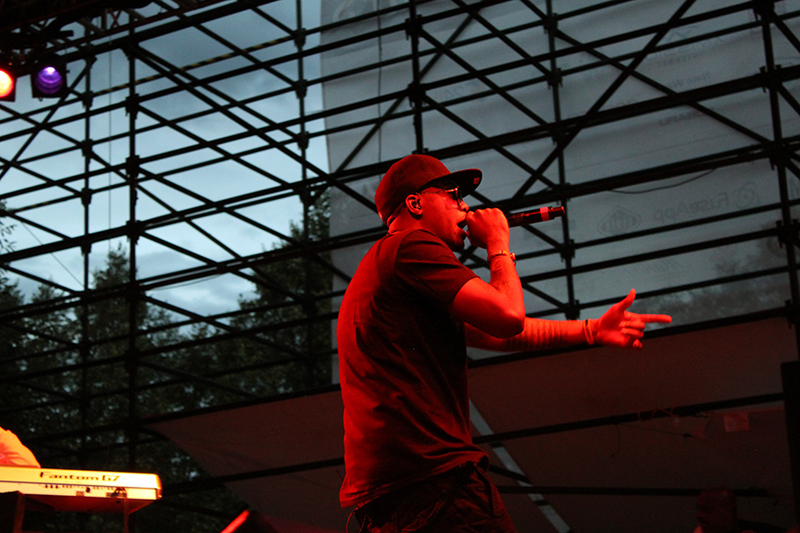 Salt Lake City just witnessed one of the greatest MCs of all time, Nas.